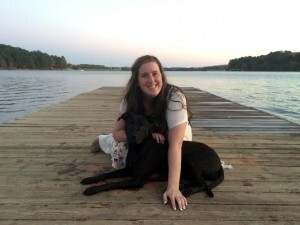 Local Weekend Getaway at Lake Hartwell! We are very lucky to live around such beautiful water. I drive over Lake Hartwell every morning on my way into the office and almost each time I think to myself, “man it would be so cool to live on the lake.” Now, as some may have that luxury, I am the college kid that does not; therefore I make the lake fun without owning a piece of it. 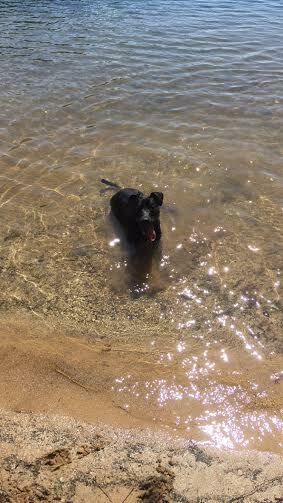 One of my favorite summer past times is taking my dog, Lady, to the lake to swim and play. If you are a proud owner of a pup or you just want to take the family out for some fun on a nice summer day, Lake Hartwell has you covered. If you are a local to the Clemson area try the YMCA beach. Over the summer it is not slammed packed with college students and it is actually a really fun place to lay out on the docks, play some beach volley ball, and a great place to kayak! 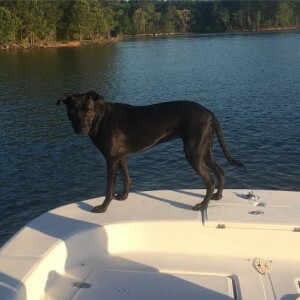 A more family fun access point in Clemson is the Twelve Mile Park this is located slightly across from Tiger Town Animal Hospital and has a boat ramp, playground, restrooms and plenty of picnic space. This would be a great day trip for the family. For my Anderson locals there is Green Pond Landing – personally I have not been here, so this will be on my to do list, but I have seen multiple, good reviews online and have heard by a few that the fishing events there are amazing. So grab your buddies and a fishing pole and get out there! Whether you live on the lake or not get out there and enjoy what beauty our upstate has! Soak up the Sun and cherish the memories and smiles that come out of it. Grab your sun screen, towels, family, and friends and make a day trip out to Lake Hartwell! I hope that you all enjoy your weekend out on the lake! It’s so helpful to know the local beautiful spots to visit that you can take your family and animals to. When I think sight seeing, I tend to think outside of my local area. Great article! Reminds me to look at the wonderful things our local community has to offer.